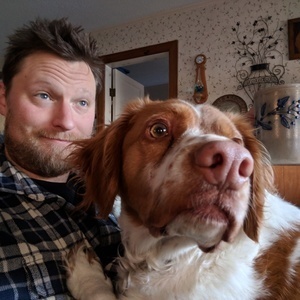 Hey, this is Chris and he likes tech. He also likes cheese. You know who else likes cheese? Pandas. Probably. He's not a zoologist so you should wikipedia that. It all started one day when he was born not a zoologist. He continued to live in Vermont for 30 years having been a baker, a grocer, a music instrument store manager, a son, a brother, a friend, a band mate, a human but still nothing to do with zoology. And having succeeded in never doing anything in zoology that would answer our initial query he finds himself hosting a podcast for present and future tech, geek, and video games. Christopher has hosted 43 Episodes. This week, we throw the format out the window, kick back, and have ourselves a time... topics include Battlestar Galactica, Containerization Technology, and home made Meade! Cognitive Dissonance Reigns Supreme: This week we venture into the Matrix as we cut through parallel dimensions and bullsh!^ surrounding Electronic Arts. Plus, does AMD's new hardware have anything to do with Nvidia's crushing Wall street loss? Probably not... and Apple's sitting on a trigger of a gun we never knew they had. Linux 5.0 is inbound but it's no big deal... A HUGE leak about the open-sourcing of Windows... Plus, Microsoft's big plans for the Edge browser, Google's Fuchsia creeping around the corner and so much more! 2018 was crazy, yo. Your hosts ride the tsunami inland as we careen toward the New Year. We're back and better than ever! 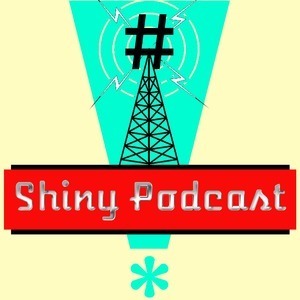 Join us for the very first episode of Season 2 of Shiny Podcast! Colin and Chris are out this week but we wanted to release something from the archive for your pleasure. First, we deep dive into the universe of Star Trek and then Davis joins us for a look at various Linux distros. It's an easy going Shiny Podcast, the quality of the audio should prove that point. Enjoy and see you next week! Episode 32: Think Different, Together. This week, Microsoft and the EU compete for the "Most Frustrating" award while Apple releases the iPhone X 3 more times. The watch looks pretty cool! Also. Superman is the Witcher. Will open source save the future of AI? PLUS California's Net Neutrality smackdown, Nvidia's draconian new NDA, and more! A FULL episode of the latest and greatest including Fallout 76 updates and Valve's new venture into gaming on Linux! We're just here to make sure you eat your veggies... here's a small helping of the week's most important gaming and tech news! New Android, Fallout News, and if it quacks like a duck it sure ain't a DDOS.